It’s one thing to produce products, services, optins, newsletters, content and more, but it’s another to optimize all of this to ensure that you don’t leave money on the table. In the book You Are Not So Smart, David McRaney’s highlights the ways in which we’re deluded into thinking we are rationale individuals and yet we all fall prey to the whims of psychology. Marketing Psychology affects us all and smart marketers and website owners employ the following tactics to increase sales and conversions. Reciprocity in social psychology simply means that when someone does something positive for you, you feel more cooperative and more likely to do something positive in return. This social obligation is rampant in all aspects of our lives. Norbert Schwarz found that even a small thing such as a finding a dime can put you in a better mood and help you feel more satisfied. Even low value items can have a positive impact on your feelings. To create goodwill the ‘gift’ does not have to be valuable or big. If you ‘give’ as a surprise, reciprocity works much betters. For marketers, reciprocity can produce lots of benefits such as gaining new customers, customer retention and increasing customer loyalty. Here is an example from Hubspot that generates good will. Free eBooks are fairly common so this novel approach is quite refreshing. You receive free business stock images but in return Hubspot collects some key information about you and your contact details they can use for marketing. How can you use this? If you have an e-commerce business for example, first time customers can be provided with a 10% coupon off their next order. Zappos is a company that upgraded all orders to next day delivery for free. It’s a great way to reinforce a positive consumer experience and increase loyalty. Key Takeaway: Give away something first and you will increase the likelihood of return loyalty. If you can make it a surprise your customers will appreciate it even more. The gift you provide does not need to be valuable. Attractiveness has its benefits and as Harvard University and others of have discovered, it can also help increase your likeability and your trustworthiness. Attractive website design that follows the conventional rules of beauty can also benefit in the same way. You may be familiar with the term the Golden Ration which is a concept regarding proportions and is used in areas such as architecture, art and design. The Golden Ration is depicted as a spiral which is derived from the Fibonacci sequence. Sea shells, galaxies and hurricanes all spiral following the golden ratio! So what does this have to do with website design? If you follow the Golden Ratio you can be sure to create a website that is visually appealing. Check out this visual guide by Pencil Scoop on understanding and using the golden ratio in web design. Key Takeaway: In the pursuit of making a unique website do not abandon the basic principles of web design. Color matters, period. Satyendra Singh’s review of color psychology found that people make up their minds about a product within 90 seconds and 62%-90% of that decision is based on color alone. The implications of this means that color can have a huge impact on conversions and sales. Now you might be wondering what the best colors might be for your logo, banner, ad or optin but there is no right answer. For example, one option might outperform another because the color of it contrasts with other page elements making it stand out. This is known as the Von Restorff effect which means that if it stands out, it’s given the most attention and remembered. This is not so much to do with the color itself but the use of color overall. Key Takeaway: The use of color in marketing is extremely important but you have to test for yourself what works as there is not a one size fits all. When the latter was used, people were twice as likely to donate! Not only that, but they donated the same as people who were not asked for a penny. The penny statement got their foot in the door. So how can you use this in your marketing? 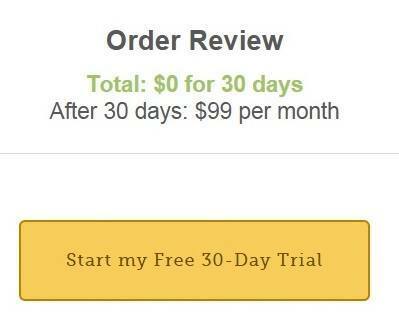 Free trials are a good way to get readers using a product or service. Another example is Buzzbundle who offer their software for free but the functionality becomes limited as the trial progresses. The user gets to experience the product and they are then encouraged to upgrade. A variation of this foot-in-the-door technique is used by Andrew Hansen to resolve sales page abandonment. With exit intent, the reader is presented with the following offer. What was the result of this? Not only did people take up the $1 offer but 54% of them went on to pay for the full course. There were people that were going to leave anyway and over half of them were converted to full paying customers by getting the foot in the door. Can you spare 17 cents? The latter is very specific to the point where it would catch your attention. Unusual pricing can help pique a customers interest. Key Takeaway: If you make the commitment small and easy, customers are more likely to be compliant in the future. In Robert Cialdini’s book Influence: The Psychology of Persuasion, one of the persuasion techniques is to instil a sense of scarcity and urgency. With respect to marketing this could mean having an offer on a count down or limiting the amount of products available. Conferences such as Traffic & Conversion Summit do this successfully by offering an early bird discounted ticket for a short period of time before the prices go up. Key Takeaway: Create limited time offers for your products or services that have to be taken up urgently of your customers will miss out. In every facet of life you’ll be aware of how quickly tribes form in social situations. Psychologically speaking, this is known as Social Identity Theory where a person’s sense of self is based on the group they are part of. Tajfel, who devised the theory, found that it was easy to divide people in to tribes, increase loyalty to their own tribe and have them ‘discriminate’ against other groups. This also carries over into branding strategies. Key Takeaway: Create brand loyalty by highlighting an “enemy” for the tribe to disassociate from. In a study about choice conducted by Sheena Lyengar, shoppers were offered a free sample of jam. One day there was 24 flavours to choose from and 6 on a different day. With more flavours, 20% more people stopped to take a sample. However, only 3% of those people made a purchase. When only 6 different jams were on offer, 30% of people made a purchase after trying a sample! That’s a huge difference in conversion and a clear indication that less options helps conversions. Having an understanding and appreciation of marketing psychology can make or break your website. If you could increase your conversion rate from 3% to 30% just by reducing the options you give customers, what could that do for your sales? The key takeaway here is to be continually testing, monitoring results and optimizing. Small tweaks can make a huge difference.